Toronto, Ont. – Smith alumni were among those recognized as outstanding young Canadian business leaders last week. This year’s Top 40 Under 40 honourees included four Bachelor of Commerce graduates from Smith School of Business. Kingston, Ont. – Stephen Smith is being inducted into the Canadian Business Hall of Fame. The hall made the announcement Nov. 16. Smith will enter the hall in June as part of the class of 2019. Kingston, Ont. 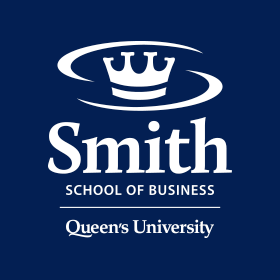 – Ryan Riordan, Ning Zhang and Paul Calluzzo are recipients of the Smith School of Business Research Excellence Awards this year. The tree professors were recognized at a reception held Nov. 7 in Goodes Hall. Kingston, Ont. – The 2017/2018 Year in Review, containing Smith School of Business highlights from the past year, is now available in print and online. Kingston, Ont. – Smith School of Business has added its first partner school in Africa: Stellenbosch University and the University of Stellenbosch Business School in South Africa.